Aluminium Oxide - Lab Depot ltd.
Garreco Aluminum Oxide blast abrasives are among the finest in the world and used for divesting and cleaning of appliances. Our 99.6% pure (white) and 96% pure (brown) electro-fused Aluminum Oxide abrasives are machine-sized and computer-scanned to provide uniform particle size. Available in popular sizes and packed with desiccant to prevent moisture absorption. Alpha corundum with extreme hardness. The particles retain their sharp edges until fully spent. 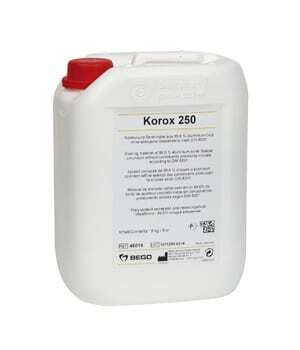 Korox meets the requirements of the German employers’ liability associations. 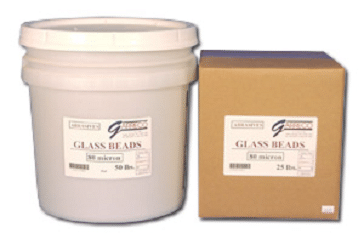 Glass Beads are used to divest chrome cobalt, non-precious crown and bridge alloys, and all-ceramic cases. May also be used to polish chrome cobalt frameworks. Precision screened and desiccant packaged to prevent moisture. Perlablast polishing beads are made from lead-free soda glass. The beads easily produce a uniform satin glaze on the surface to be sandblasted. There is no loss of metal, as the surface is condensed and not removed. No further preparation of the non-polished surface is required. Perlablast is used to produce a matt glaze on the occlusal surfaces of all types of crown and bridge alloys.